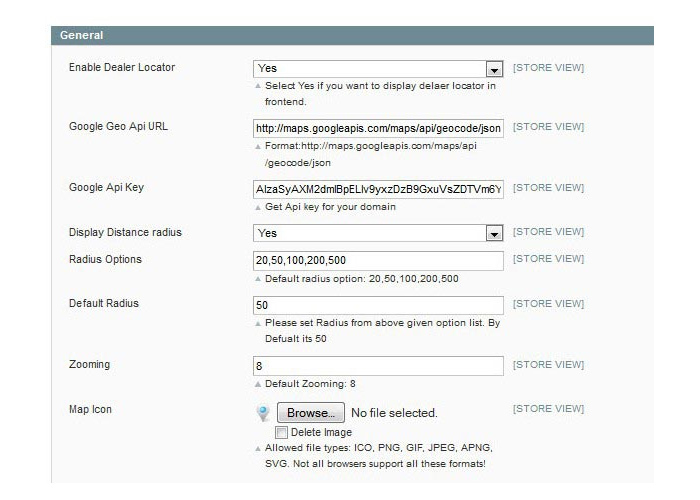 Find Dealer locations into Google Map with zip code search. Dealer account can be created from frontend as well as from admin. Import Dealers through CSV and also do bulk delete with CSV. You can upload location icon for map. It use for find nearest dealers location like 50 miles, 100 miles in Google map using Zip code. 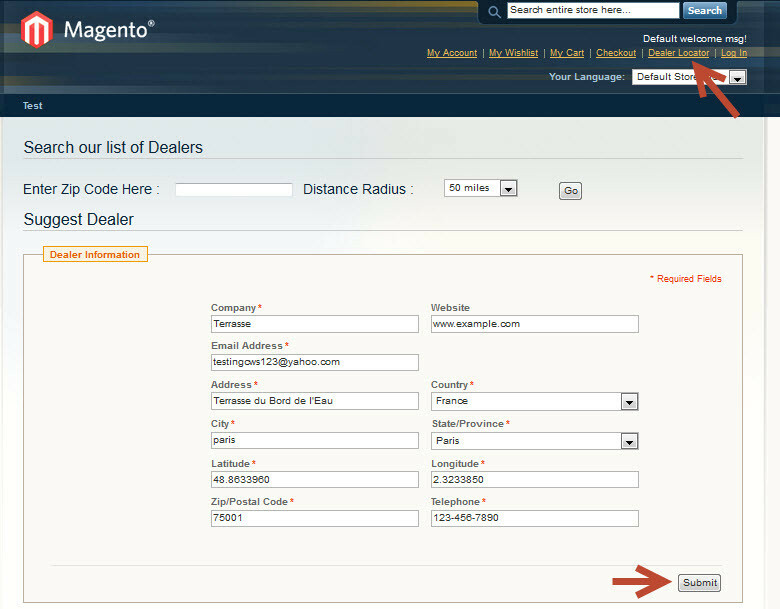 Dealers can create account from the frontend and also from admin. 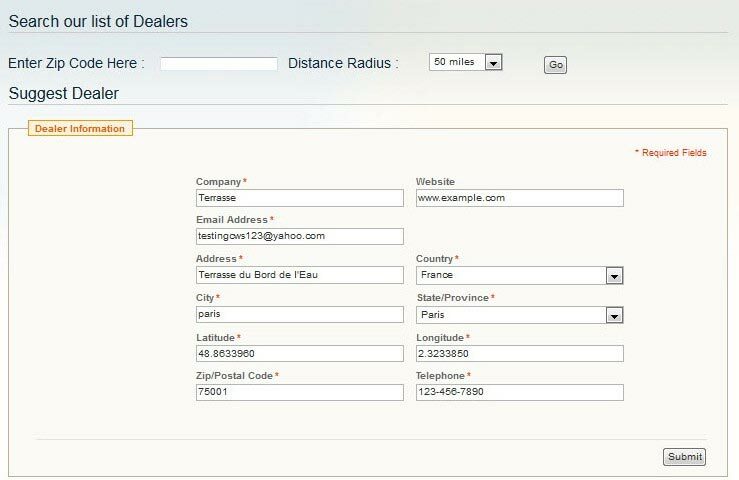 Admin can import dealers locator complete details using CSV file from admin.Using CSV file, admin can update the dealer’s information and also delete the dealers in bulk from admin using CSV file. Using this extension, you can manage all the dealers easily. When dealer register from the frontend then administrator get the email and dealer is InActive. Admin can make dealer active from manage dealers page. Create dealers account from admin. 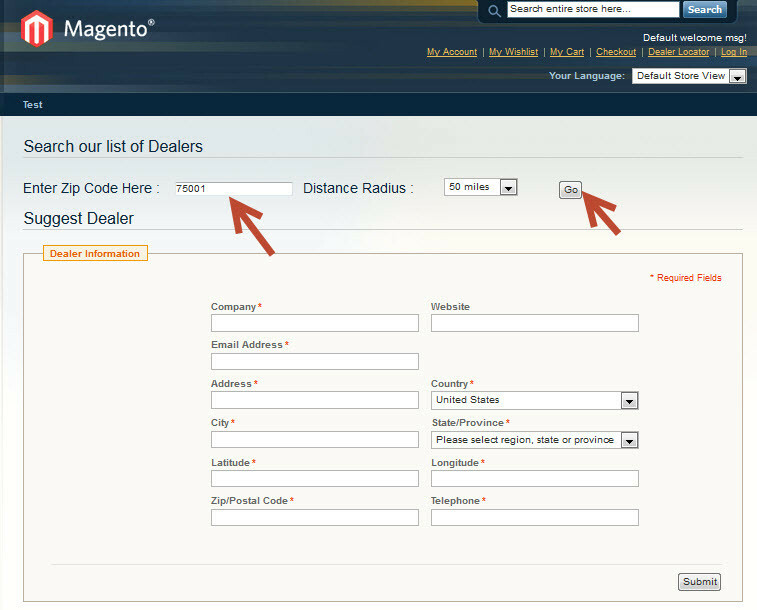 Result page for dealers location with dealer address. With this extension, you can improve offline sales. Customers can use it to find nearest stores and dealers. You can display accurate dealer locations with Google Map. Another advantage is the quick management of dealers’ location. It has definitely reduced my work. Now, I don’t have to sit and input dealer location details from admin panel. The members of my dealer network can create accounts from front-end as well. I can update information anytime I want by simply using a CSV file. I struggled in the beginning to get this setup properly. Support was there promptly along the way to answer my questions and get things working better than I expected. Decent expansion, it works like a charm. Easy to install and few questions so get quick and accurate reply. Happy to use it. 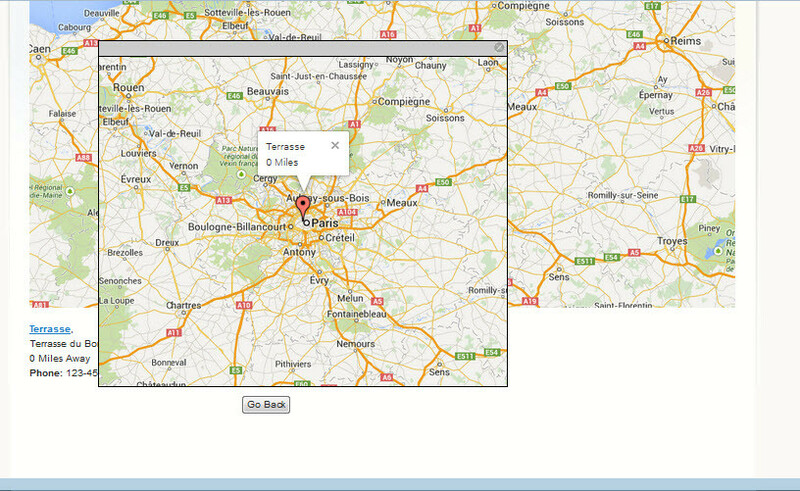 Look many store locator extensions demo but after looking this extension I prefer to go with this extension. I am very happy using this extension because it provide various features and easy to set up and use it. 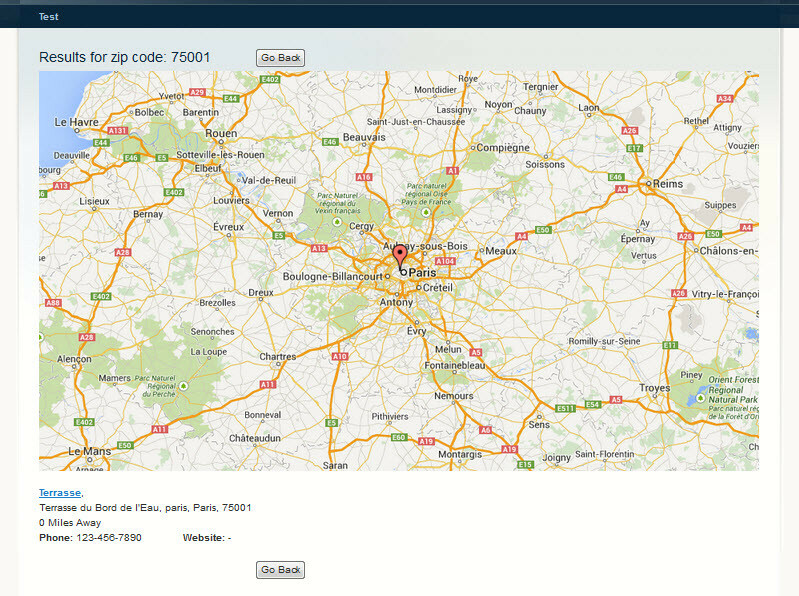 We tried a couple of other store locator extensions and this is by far the best one we've used. The features are great and the aftercare support is exceptional. I would strongly recommend this extension and the developers behind it. => This version supported to magento 1.9.2.4. => Fixed some bugs in this version. Q-1: Display message when search dealer location “Your Google API request limit completed, Wait 24 hour until your API activated in Google API account”? OR same message display while import dealers from admin? Ans : Google API have some limitation for request Google API URL. You can use 2500 times Google API URL in 24 hour for testing accounts and 100,000 requests per 24 hour for business account. If you not set the city, country, state, latitude, longitude in csv file for import dealer and there is more dealer for importing then its requested Google API to find the all value using zip for all records or if not set value in above five fields. So please carefully use the Google API URL and if you have all five fields value then please set in csv file. 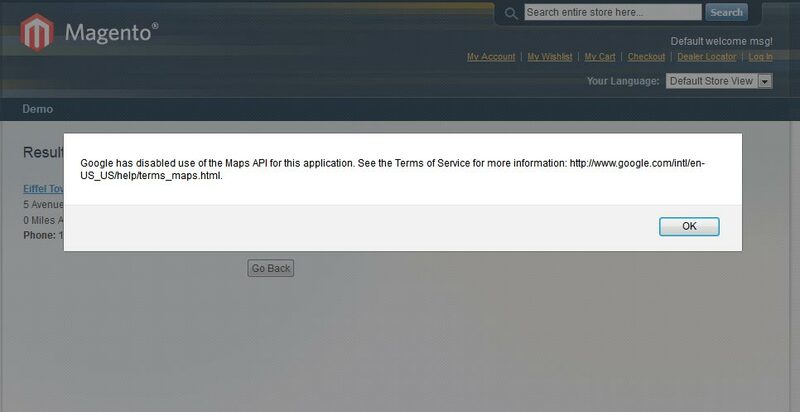 Q-2: Google has disabled use of the Maps API for this application. 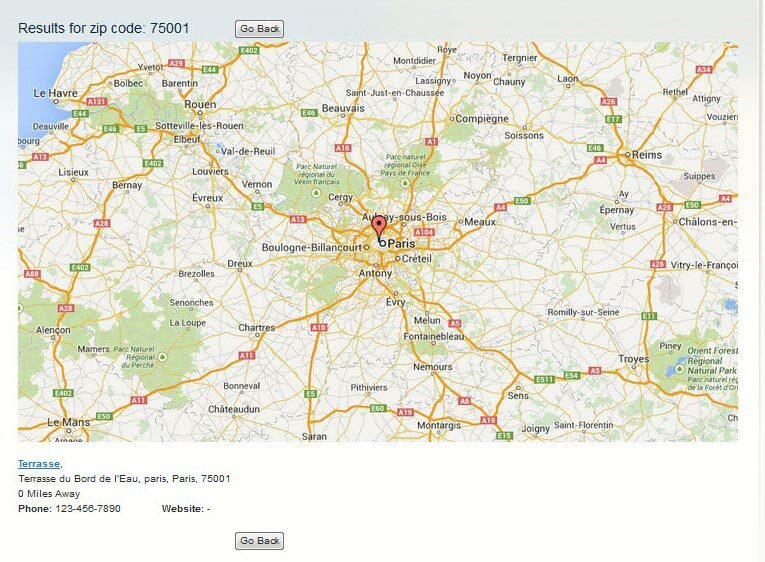 This site is not authorized to use the Google Maps client ID provided. If you are the owner of this application, you can learn more about registering URLs here: https://developers.google.com/maps/documentation/business/clientside/auth#registering_authorized_urls? OR How to create the Google Api key for your store? 2. Click on the API Access on left sidebar. Q-3: Note:Use the below url to find the proper location of your store latitude and longitude.